Commercial buildings offer so much opportunity when it comes to pests finding a new home and getting the various things that they need to survive. Whether it’s a school, a distribution warehouse, or an office space, the last thing that you ever want to come across is an infestation. Earthwise Pest Management completely understands how difficult it can be to manage these large spaces on your own, and that sometimes there’s no getting around pests making their way inside. For that reason, we offer commercial pest control services to the greater Sacramento area. After years of working in the pest control world, our team decided to find an approach that worked beyond the removal of pests. We wanted to find a way to tackle the issues that attracted the pests there in the first place and ensure that they didn’t come back down the road. This is where integrated pest management came in. From flying insects like bees and flies to larger rodents like raccoons and mice, our team has been able to provide long-term solutions to the greater San Francisco area. Keep reading to learn more about the different types of pests that we can assist you with. Countless types of pests can infest a commercial building, and we’ve made sure that we know how to tackle them all. If you’re not entirely sure about what pest has found its way into your commercial space, we’ve covered a few of the most common types of pests that we see in commercial spaces. One of the worst types of pests that you can deal with is bed bugs. These small pests are easy to acquire and extremely difficult to get rid of. People can pick them up from staying at other people’s homes, visiting a hotel, or bringing an item that has bed bugs into your commercial building. More often than not, people transfer bed bugs without ever realizing that they’re doing so. Unfortunately, that doesn’t make the situation any better. Bed bugs are usually discovered when bites start to surface. These bites will usually cover the entire body. Small, red splotches that itch are one of the best giveaways that you’ve got a bed bug problem on your hands. The downfall to these bites is that there isn’t much that you can do about the bites other than wait them out. In the meantime, however, it’s best to figure out how to contain and manage the bed bugs. Though they are one of the smaller pests you could come across, they are impossible to get rid of on your own. There are so many different methods and techniques that you’ll see on the internet telling you how you can get rid of bed bugs, but regardless of your efforts, bed bugs are known for hiding in hard to reach, small places. If you’re dealing with these pests in a room where there is a bed, they are most likely hidden in the seams of your sheets or the mattress, making them hard to spot and even harder to get rid of. With proper fumigation methods, our team can ensure they’re gone for good. 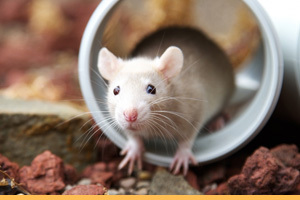 Rodents are one of the more common pests that people struggle with in commercial buildings. Mice and rats can find everything that they need to survive in just about any building. Food and shelter are easy for these pests, making them an even bigger problem. Commercial spaces offer lots of room for these pests to move around in and the opportunity to find food is often higher than in other areas. There are plenty of ways that you can prevent problems from happening, and knowing them is key. 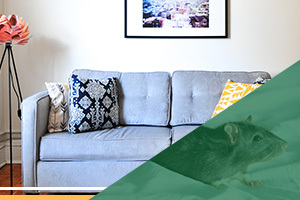 Given that rodents look for spaces that go uninterrupted, it’s essential that you actively work on checking the rooms that are less frequented to ensure that there aren’t any rodents making a home in this space. You also want to ensure that you’re cleaning up any trash and leftover food before it lures in rodents. In the case that you do wind up with a rodent infestation in your Sacramento commercial building, the team at Earthwise Pest Management is here to help! The last kind of pest that you want to find in your commercial building are the ones that cause destruction to the building itself. Termites are known for being able to enjoy a fibrous meal of wood structures. The worst part about these pests, however, is that once you’ve found one, you’ve likely found a hundred or so. 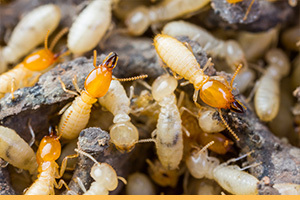 Though these problems start out small, termite packs grow extremely fast! If you notice that any wood around or in your commercial building is starting to be eaten away by termites, call immediately! These pests can do some serious damage in just hours — let our team be the ones to ensure that they don’t. We’ve listed a few of the most common pests, but they certainly aren’t the only pests that we’ve dealt with in buildings. We’ve seen everything from raccoons and birds to spiders and wasps — and we’ve yielded long-term results. If you’re not entirely sure what type of pest you’re dealing with or you’re simply ready to book your commercial pest control services, Earthwise Pest Management is here to help. Contact our team today, and we’d be more than happy to provide you with a consultation of the services that you need. Pests don’t care what type of commercial space they’re making a home in — they’re going to take advantage of whichever opportunity they have and make the most of it. Our years in the industry have allowed us to gain endless experience in different types of pests and different kinds of spaces. We offer our commercial pest control services to the following industries. Whether you’re looking for us to solve a problem that you’re already struggling with or you’d like for the team at Earthwise Pest Management to provide you with year-round pest control services, we would be more than happy to help! Having a busy hotel requires you to have good reviews and a hotel that people recommend to their friends and family. That being said, an infestation is the absolute last thing that you want to deal with. 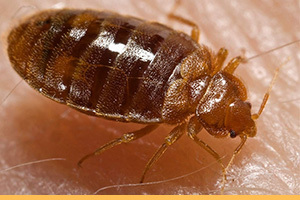 All pest infestations will affect the well being of a hotel, bed bugs specifically. These pests get spread quickly, and they can leave guests beyond upset about their stay. Because of how small they are, it’s nearly impossible to take care of them on your own — that’s where we can help. 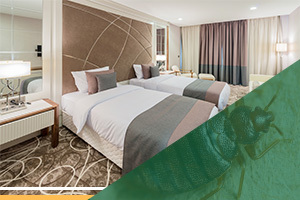 Whether you’re doing your best to avoid an infestation or you’re struggling with a bed bug infestation at this very moment, our team can help! Contact us as soon as possible so that we can get it taken care of sooner than later. 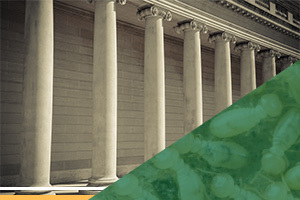 Office buildings where government events are held experience varying amounts of people coming in and out, and that can lead to pests becoming an issue in the building. Whether you’re tired of having to maintain certain pests that surround your building or you want to know what types of circumstances are making it an ideal place for pests to call home, Earthwise Pest Management can help! Our team provides long-term results for the spaces that need it the most — contact us today if you need to schedule commercial pest control services. Owning and running a gym is something extremely challenging. You always want to ensure that you’re providing the best for the people that are visiting your gym. This doesn’t stop at the equipment that you’re providing or the cleanliness of the locker rooms — it goes far beyond that. One of the things that most people don’t think about gyms struggling with as a problem is pest control. 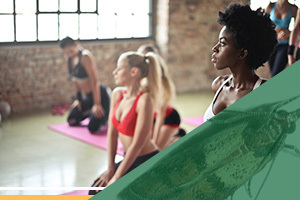 From the number of people that come and use a gym to the ease of insects coming through electric doors, it’s not uncommon for gyms to struggle with pest management. If you’re currently looking for ways to eliminate pests in and around your gym, you can always count on Earthwise Pest Management. Ensuring that your medical facility is up to code and takes all circumstances into consideration can be extremely challenging. This is a place where treatment and healing are happening, and you certainly can’t be dealing with serious pest problems in the space. In the case that you are struggling to manage pests in your space, Earthwise Pest Management is here to help. We’ve seen circumstances where pests find a way into a medical facility because they’re attracted to the habitat the surrounding area offers, but we’ve also seen circumstances were patients can bring in pests. Whatever the condition may be, you don’t have time to deal with them. Let our team know what type of pests you’re dealing with, and we can provide you with long-term solutions to your pest problems. Office buildings were designed to provide hundreds of people with a place to get work done. Though they are organized in various ways, these commercial spaces are also known for attracting all sorts of pests to the area. 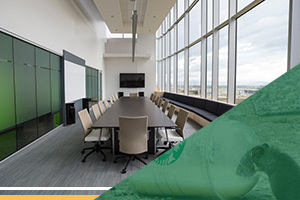 From the open spaces that make for prime living quarters to the endless goods that are brought in, pests are able to find everything that they need to survive in a commercial office space. On the flip side, the last thing that your employees or guests are ever going to want to come across while visiting are pests. Don’t let these pests become a problem that you have to deal with continuously. Allow for the team at Earthwise Pest Management to provide you with the long-term care solutions that you need to maintain your office space. As someone managing properties, you know just how important being pest free is. Aside from having your property management office be free of pests, you also want to know that the properties you’re managing aren’t struggling with pest problems. 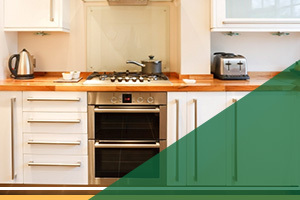 Given that you are responsible for these properties, finding a pest control company that you can trust is a must. Earthwise Pest Management can take care of the pest problems at each of the properties that you’re managing. If you contact our team, we can set aside a time to provide you with a full consultation on the services that you’ll need to maintain these properties and how much they’ll cost. Reach out to our team today, and we will help get the pest control aspect of your property management taken care of. The food industry is one of the last places that you want to find pests in. From preparing the food to serving the customers, pests are not intended to be a part of the industry — but they somehow find their way in. Commercial buildings that offer endless food for pests to get to, like restaurants, need to be extra precautious of their pest control are tactics. By preparing for the chance of pests, you’re minimizing the likelihood of them making their way in. 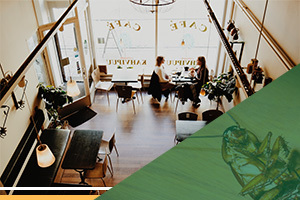 If you’re interested in learning more about the different things that could be attracting pests to your restaurant, our team is here to help. 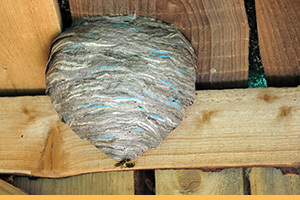 Our integrated pest management techniques are intended to provide you with long-term solutions that are rooted in the different factors that attracted them there in the first place. Allow for us to give you a consult so that you’re able to take preventative steps. Whether your store is located in an indoor mall, an outlet mall, or it’s a standalone store, you’re always going to have to worry about whether or not you’ve got a pest control problem. Given that these commercial buildings are open year round and are serving the public, there are countless types of pests that find their way into stores. Don’t let any pests take over your store. Earthwise Pest Management can provide you with solutions and preventative tips to minimize the chances of you every dealing with pests in the first place. 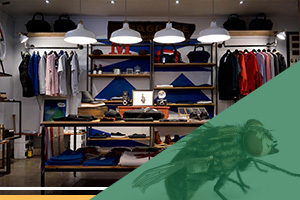 Allow for us to provide you with a comprehensive consultation on your store and the things that may be attracting pests there, as well as solutions to help minimize the chances of it becoming an infestation. We can provide year-round pest control services to ensure that your store is taken care of throughout each season. Maintaining a school is a challenge. Kids can do some serious damage when they’re attending a school full time, and that’s true for all age groups. They aren’t, however, the only thing that you have to worry about taking a toll on your school. With playgrounds and fields often backing school buildings, it’s not uncommon for pests to become a problem that schools have to deal with. 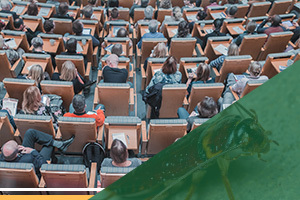 Whether you’re working on avoiding any pest problems at your education facility, or you’re in need of handling a pest problem, Earthwise Pest Solutions can help. 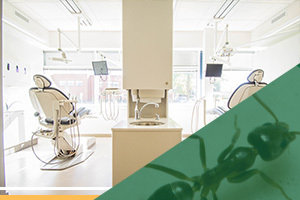 Our integrated pest management techniques are safe and gentle, providing you with the solutions that you want but prioritizing the well-being of the individuals visiting your facility. We’ve said it plenty of times — when pests can find the things that they need to survive, pest problems become much more likely. 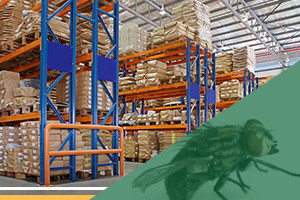 Warehouse and distribution centers offer a lot of what pests need to survive, and being as big as they are, there is plenty of room for pests to make themselves at home without having to worry about whether or not they’ll be found. These commercial buildings are some of the more common structures to struggle with pest control problems. With as much open space and machinery as these buildings often have, it’s challenging to ensure that there aren’t any pests that are infesting your commercial building. 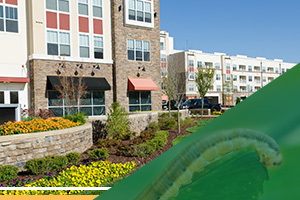 Allow for our team to provide you with insight on how you can avoid pests in your commercial building. In the case that you’re already struggling with a pest control problem, our team would be more than happy to provide you with a consultation and some insight on how to avoid these problems in the future. If your commercial industry is not mentioned in the points above, that doesn’t mean that we can’t assist you. Just give our offices a call, and a member of our team would be more than happy to provide you with some more information about your circumstances and how we could help. We’ll always do our best to provide you with a solution to your pest problems, and we do that through integrated pest management methods. Integrated Pest Management – What Is It? Finding long-term solutions to your pest control problems is something that our team strives to do. While most pest control companies will simply work to remove the pests that are currently infesting your space, our team works to resolve them. Those pests that are now finding a safe haven in your commercial space are there for a reason. Whether it’s the shelter that they’ve found or a food source they have easy access to, this is the problem that needs to be eliminated. If you’re unfamiliar with the integrated pest management method, the most important thing to note is that this particular method provides you with a long-term solution that is also safe for the space. We take pride in the fact that we avoid chemical approaches and look to the root of the problem when removing all pests. When you contact Earthwise Pest Management, the first thing that we’re going to do is determine what is attracting these pests in the first place. These consultations provide us with the information that we need to make a plan of action. With our years of experience, we have been able to perfect multiple methods that yield the long-term results all commercial building owners hope to see. If you’re interested in learning how we could tackle your infestation with our integrated pest management approach, contact our team today. If you are the owner of a commercial space and you’re afraid that you might be dealing with a pest infestation, it’s time to contact Earthwise Pest Management. Our team has years of experience, allowing us to provide the Sacramento area with only the highest quality of pest control services. If you’re in need of any assistance, be it a question regarding our services or an inquiry about scheduling a consultation, contact our team. We strive to provide the best customer service in the business and will always be ready to assist! Earthwise Pest Management is proud to offer our services to countless individuals in California. Browse the list below for areas that we serve and contact us today to book your services.